The Arts Derbyshire website is the hub of all things ARTS in Derbyshire! Find out what's on and add your own events, or search for specific artists and venues in the extensive and easy to use database. If you are an artist or work in the creative industries you can add your own listing so that others can find your work by registering. You can also find advice and information, the latest job opportunities, funding and training as well as all the projects that are currently operating in Derbyshire. 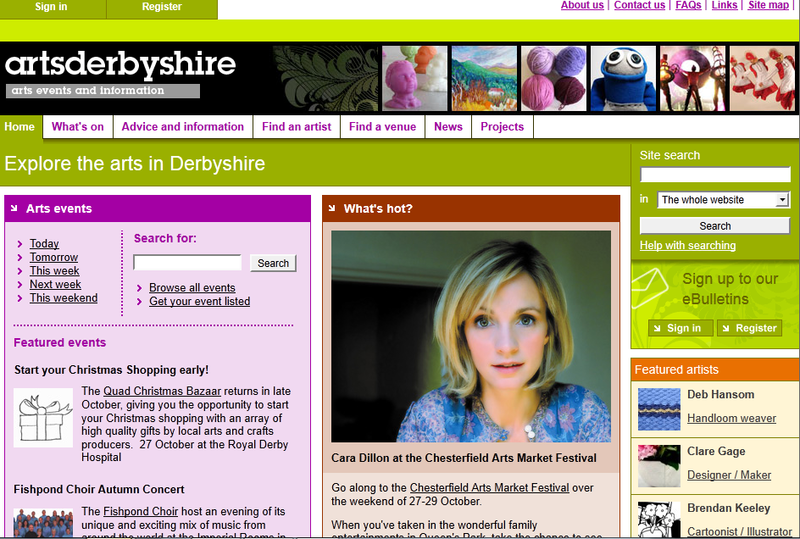 You can also register on artsderbyshire to recieve the Derbyshire What's on? newsletter, the Artist's Newsletter and the arts in schools newsletter.